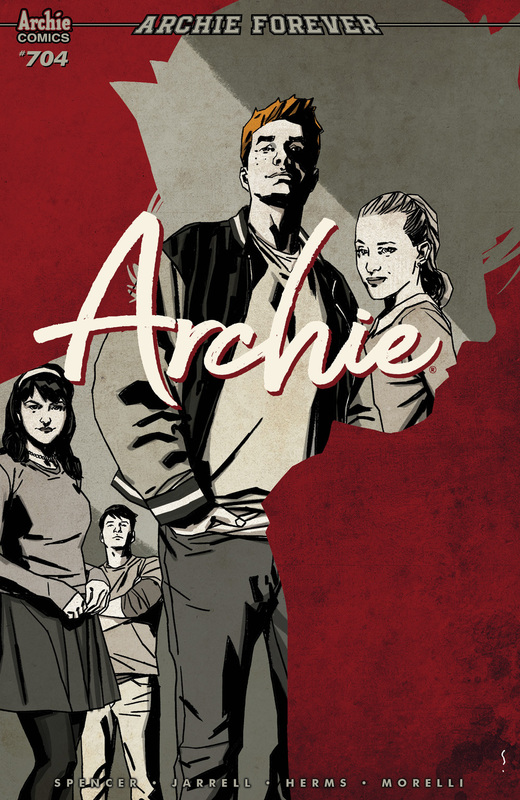 We have not one, not two, but three early looks at some upcoming Archie books for you guys today. 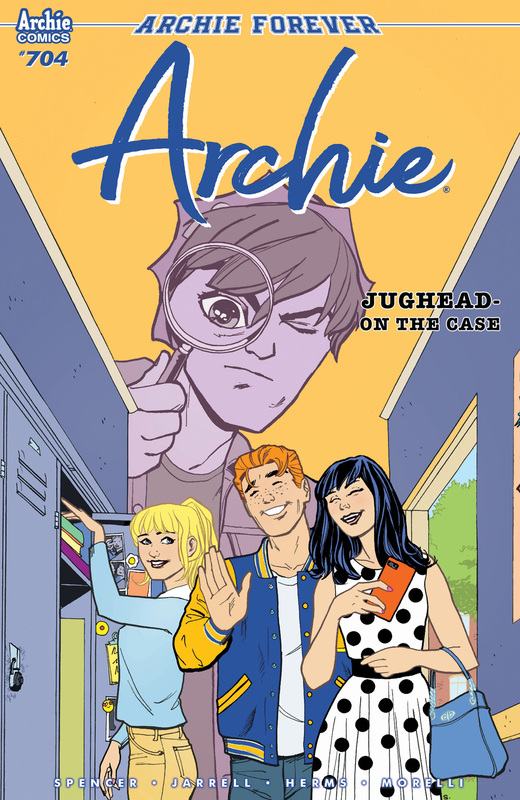 In Archie #704, Jughead embarks on an investigation that may or may no involve milkshakes. My money is on food playing a part at some point, but we’ll have to wait for the issue to drop to find out. 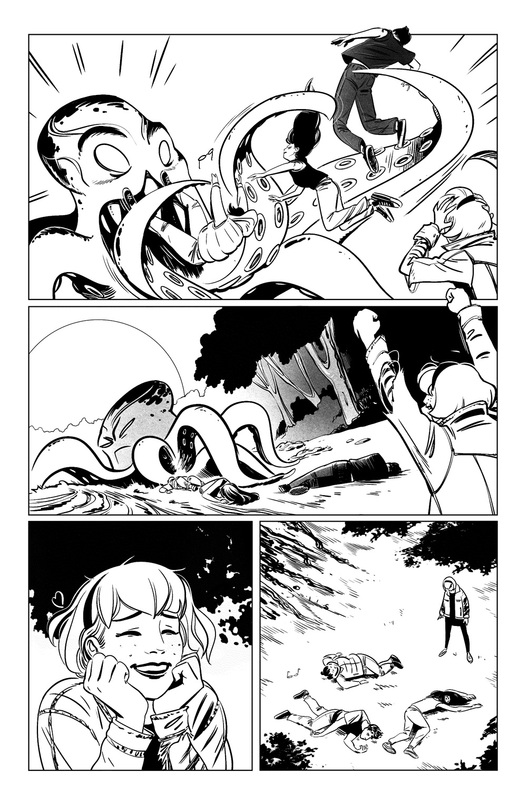 Over in Sabrina the Teenage Witch #2, everyone’s favorite Greendale citizen is positively delighted to see a giant lake monster, which may or may not have positive repercussions for her closest friends. 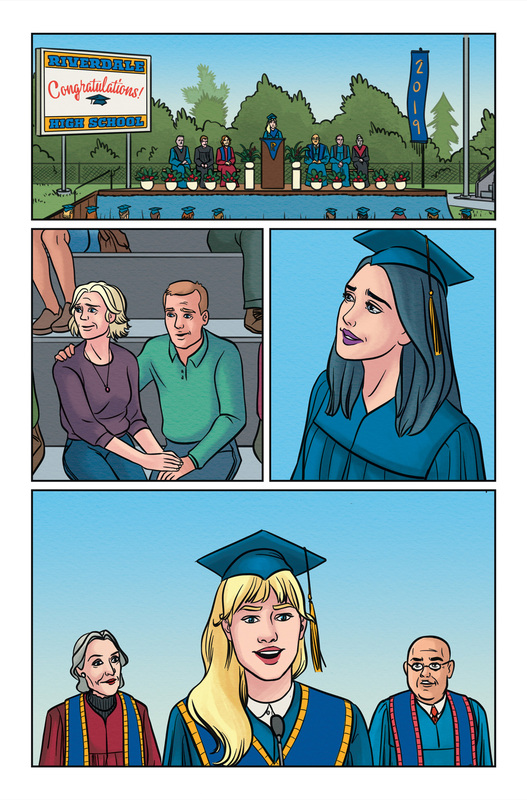 And then back in Riverdale, Betty & Veronica #5 wraps up the miniseries the biggest way it possibly could: high school graduation. 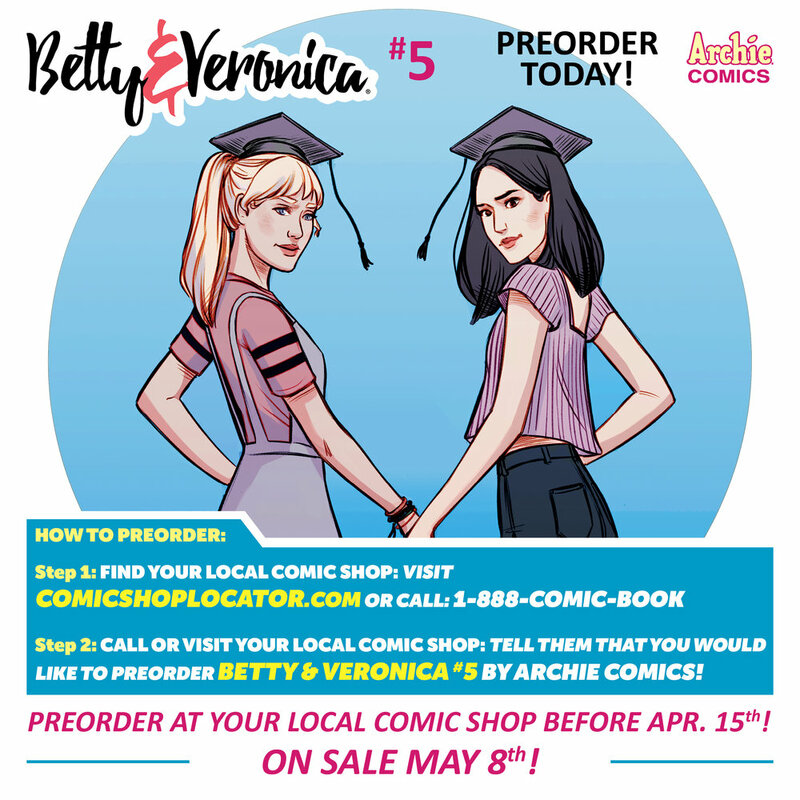 Find out what Betty, Veronica, Archie, and Jughead think of the uncertain future ahead of them now that high school is over. 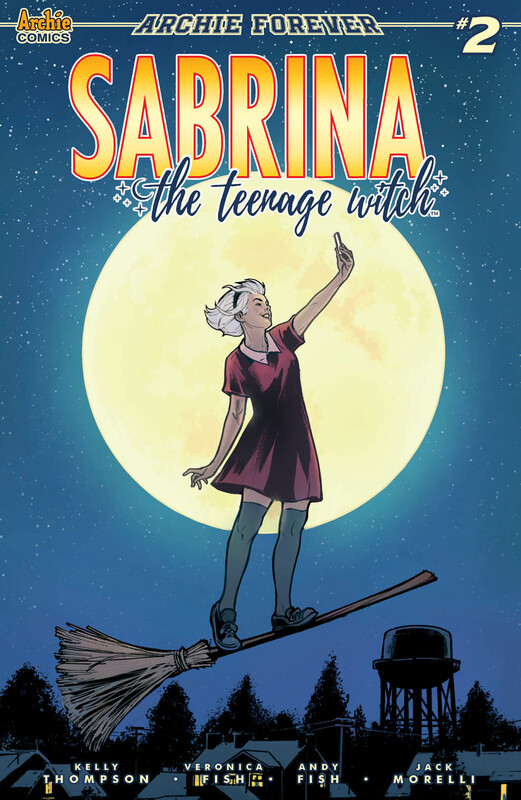 Very weird goings-on in the town of Greendale are making Sabrina Spellman's relocation to Greendale High...complicated. 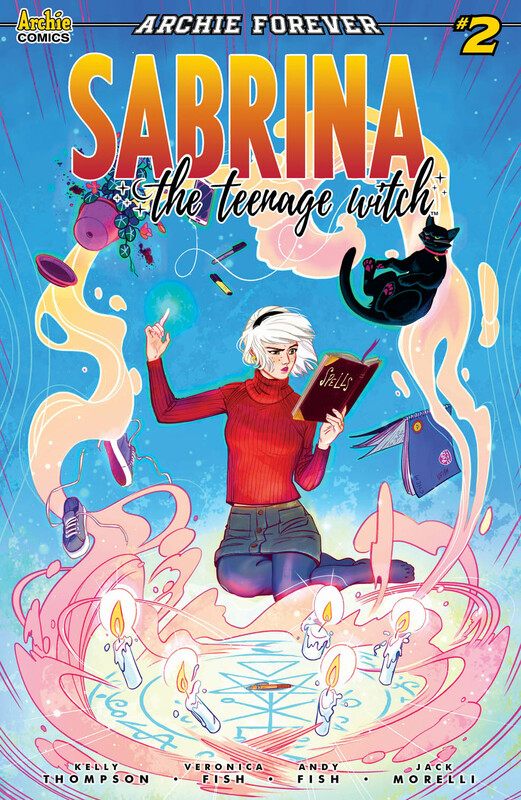 Protecting her friends, saving her family, solving a supernatural mystery, and keeping her witch nature a secret is starting to seem impossible. Something's gotta give...but which one will it be and what will it mean for her future in Greendale?! 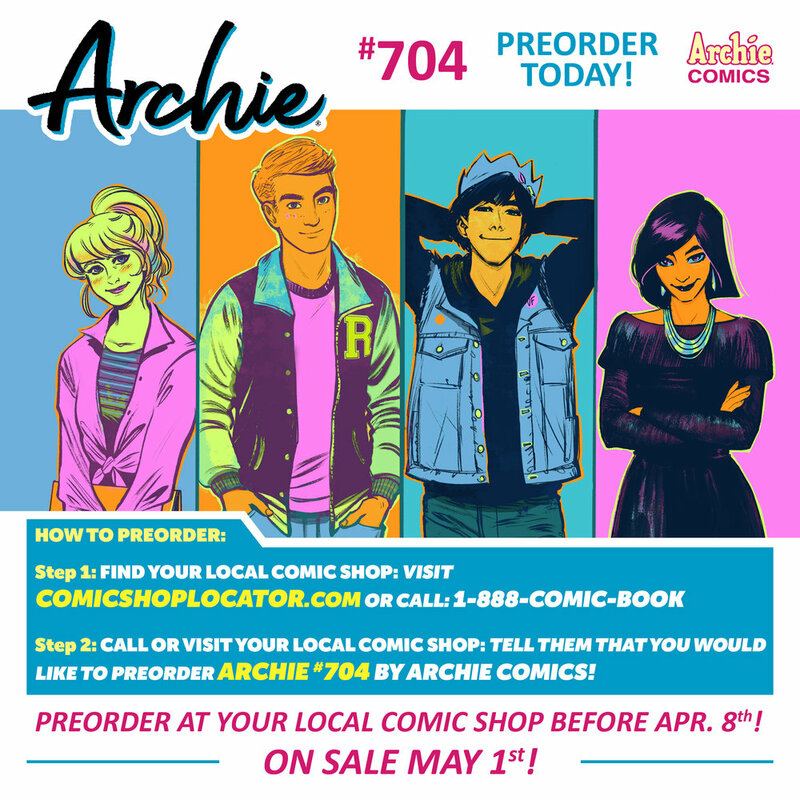 Archie #704 will hit comic shops and digital retailers on May 1, with Sabrina the Teenage Witch #2 and Betty & Veronica #5 following on May 8.